Anne Marie Comaratta knows Roswell Park Comprehensive Cancer Center and The Ride For Roswell very well. Maybe too well. Her husband, Ross, participated in The Ride For Roswell for nine years. Then came the terrible day when he was diagnosed with acute myelogenous leukemia. 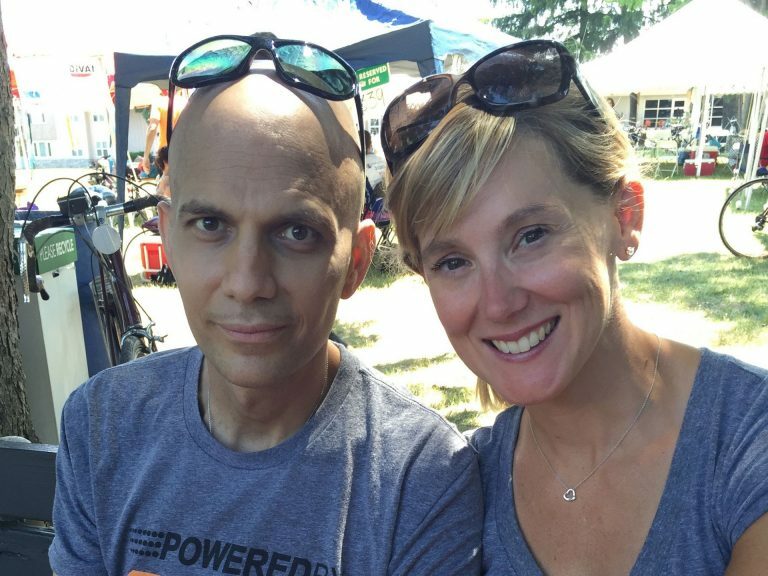 This long-time rider became a Roswell Park patient — and needed a bone marrow transplant (BMT). But first, he had to undergo HLA testing. HLA testing determines whether a potential donor is compatible by checking a protein found on most cells in the human body. However, this testing is very expensive, and insurance won’t always cover it. Because of this, The Comarattas had to do a lot of this testing out of pocket. Luckily, between their insurance and savings, they were able to cover it. They finally found a donor in Germany with the help of an organization called Be the Match. “We were responsible for not only the initial search process, but all of the costs related to physicals and information sessions for our German donor,” Anne Marie said. It became clear to her that most families wouldn’t have the same options. But now, a portion of community donations to Roswell Park, including those to The Ride, are dedicated to covering the cost of HLA testing for those whose insurance will not cover it. Sadly, in 2016 Ross lost his battle. But Anne Marie, their two children and a team of devoted family and friends continue to ride in Ross’ memory for The Ride for Roswell. Their team name is, appropriately, Team RossWell. Anne Marie is so happy that Roswell Park is now providing this extra support to families who need it. It will always be important to her.